When trying to figure out how to organize your home reading some great books on the subject can inspire and motivate you. Here are my recommendations, and you can share yours too. Over time my hope is to add quite a number organizing books to this page, because there are lots of really good books which have been written on the subject. In addition, I categorize books that are written about decluttering your home and life into this category too. I obviously haven't written all the reviews yet, so right now I will just recommend one of the first books I read on the subject, and which still I think is one of the best out there -- Organizing from the Inside Out , written by Julie Morgenstern. The short version of why I like this book so much is because she focuses not only on how to organize things, but also how to maintain that organization. Everyone can organize, the secret is keeping it that way, and this book has some wonderful tips for doing just that. Of course, no matter how many books I read and recommend on the topic of home organization there are always going to be more I haven't heard of which are really great too. 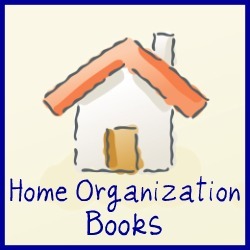 I would also love to hear your reviews and recommendations of organizing books, so we can all find some additional gems to read and help us in our journey to becoming better household managers. 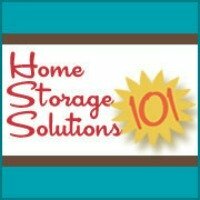 Have you read a book about home organization, decluttering, or organizing your life and thought it was really helpful or informative for you in your role as a home manager, and would recommend that others read it too?